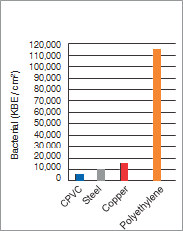 CPVC Pipes and Fittings have a natural immunity to scaling, corrosion, and microbiologically influenced corrosion. It has a general life expectancy of 50 years & over a long, low-maintenance service life as compared to traditional metallic systems. 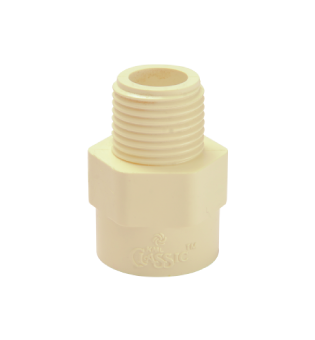 Being light in weight, CPVC piping systems are easier to handle and install. Fabrication is quick, simple, and clean as there is no need for a soldering torch or heavy equipment. Installation is done by solvent cement joining process which is quick and leak-proof if properly done. 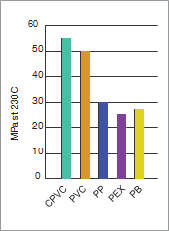 CPVC Pipes & Fittings have better Flame & Smoke resistant characteristics when compared to other non-metallic piping options. They have a very high ash-ignition temperature and are not combustible as they do not sustain burning. 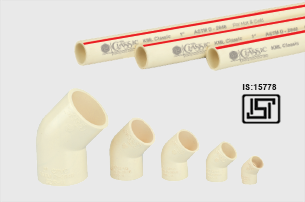 Because of its high heat & pressure resistant properties, CPVC Pipes are the preferred choice for Hot & Cold water plumbing in Residential & Commercial Buildings as well as in transporting of hot & pressurized water for industrial usage. 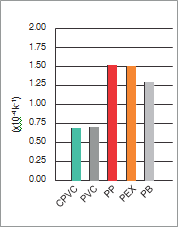 CPVC has lower Thermal Expansion & Conductivity as compared to other thermoplastics. 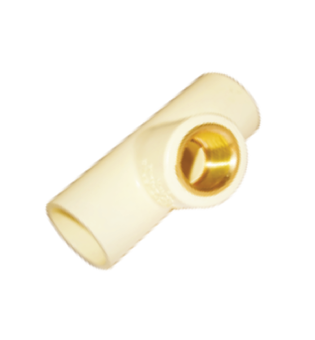 Therefore, distortion of pipelines due to flow of hot fluids & thus leading to looping is reduced. It is also more energy efficient as there is much lesser heat loss as compared to other materials, especially metal, thus exhibiting better insulation properties. Measure the required length of pipes & cut it square with a hand saw using a suitable guide or a pipe cutter in order to make a proper and neat joint. 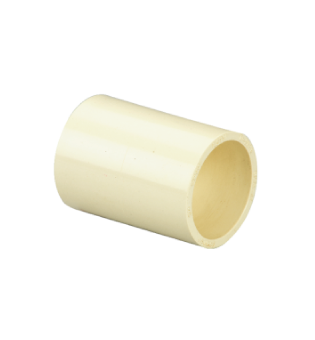 Chamfer pipe end & remove burrs from inside and outside of the pipe end with a chamfering-deburring tool or with a knife, file or abrasive paper. 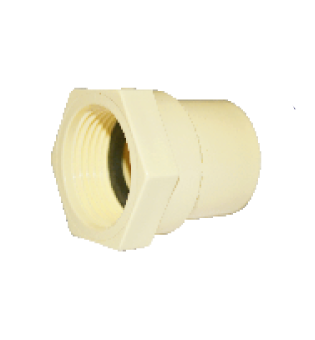 Insert the pipe into the fitting and check that the interference occurs about 1⁄3rd to 2⁄3rd of the socket depth. 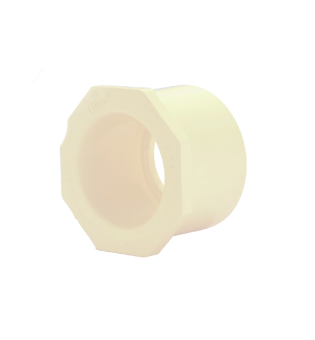 Too tight or too loose a fitment may lead to leakage & should be avoided. 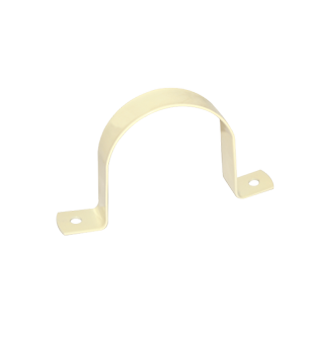 Remove any dirt, moisture or grease from the pipe and fitting sockets with a clean, dry rag. 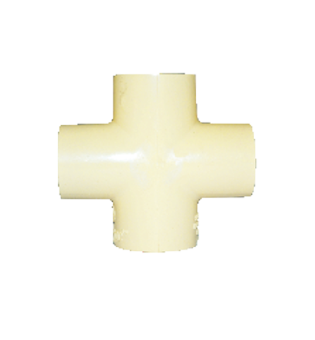 While making a joint, apply solvent cement lightly, but uniformly, to the inside of socket and outside of the pipe end, with a nylon brush or suitable applicator. Apply a second coat of solvent cement to the pipe end. 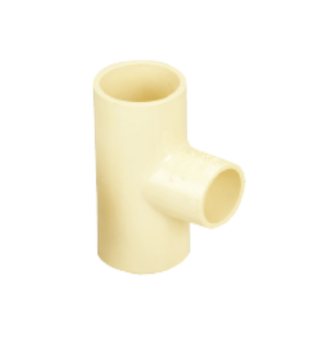 Application of solvent cement should be quick to prevent drying and should completely cover all jointing surface area of the pipe and fitting. Do not apply excessive cement in bell socket. 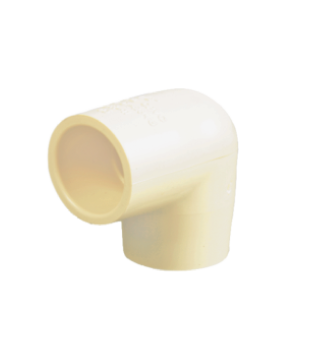 Immediately after applying the last coat of solvent cement to the pipe and while cement is still fluid or wet (within 10 - 20 second), forcefully bottom the male end of the pipe in the socket, giving the pipe or fitting ¼th turn (but not after pipe is bottomed) to distribute the solvent cement evenly. Remove excess cement from the pipe at the end of fitting socket. 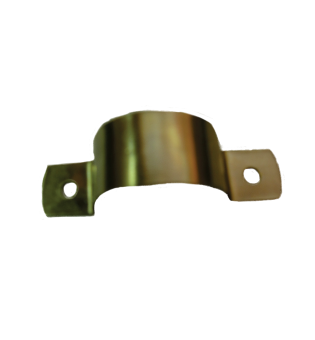 The joint must not be disturbed immediately after cementing, so that joint can properly cure. 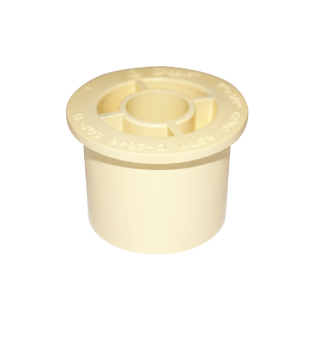 Allow the solvent cement sufficient time to set & the joint to cure, before applying water pressure. Curing time depends upon factors like temperature, humidity etc. Avoid prolonged breathing of solvent vapours while installing. Always carry out the installation procedures using solvent cement in a well ventilated area. Incase of an enclosed area, use of artificial means of ventilation, like an Exhaust Fan etc., is a good practice. Solvent Cement is a highly inflammable substance and as such, should be kept away from sources of ignition like heat, sparks and open flame at all times. It is advisable to have proper eye protection while handling solvent cement since it is an eye irritant and any eye contact due to splashing can cause an injury. In case of eye contact, flush with plenty of water for 15 minutes and visit a doctor. It also advisable to wear proper gloves while working with solvent cement to avoid skin contact. Usage of rags or bare hands for application of solvent cement is not recommended. 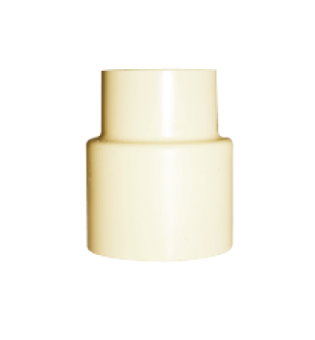 Always use a proper applicator for application of solvent cement. Dispose of used applicators or rags, used for wiping excess solvent cement or those used to clean spillage into a proper waste bin or receptacle as it is a flammable hazard. Where can I use CPVC ? 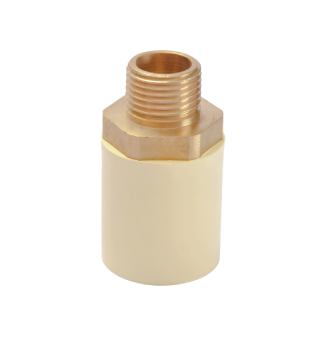 CPVC is designed for use in hot-and-cold-water distribution systems. 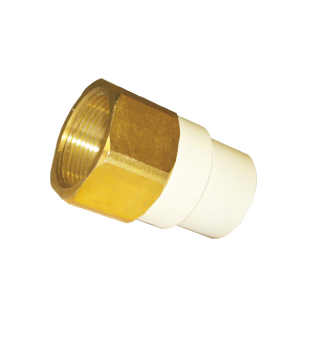 CPVC systems are ideal for all potable water piping requirements in typical residential (single and multi-family), motel / hotel, mobile home, manufactured housing, light commercial, and institutional structures. 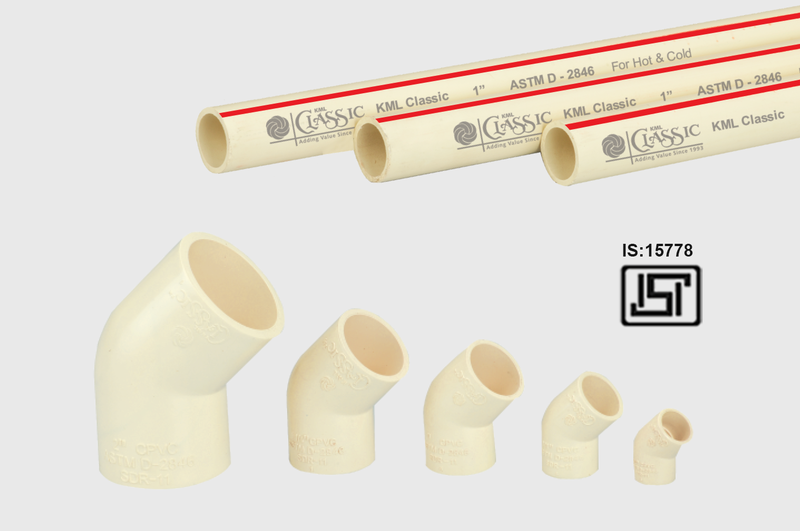 CPVC Plumbing Systems conforming to IS: 15778 / ASTM D2846 are rated for continuous service at 7kg/cm2 (100 psi) and 820C and are marked accordingly. 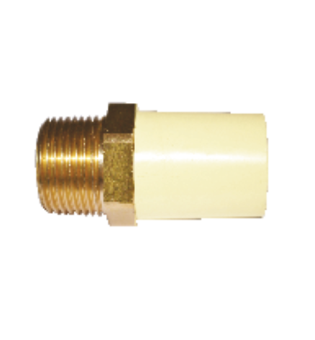 CPVC Plumbing System is capable of handling short-term pressure/temperature excursions beyond these levels. 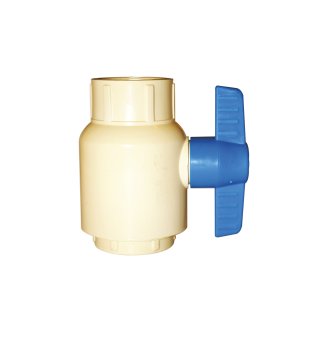 Therefore, CPVC is well suited for usage as T/P relief valve discharge lines, evidenced by its faultless service history over the past two decades in this application. 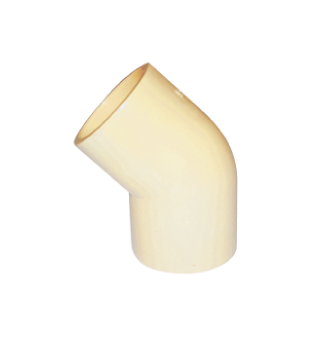 Higher Diameter Pipes as per Schedule 40 and Schedule 80 are used for a wide variety of industrial applications. 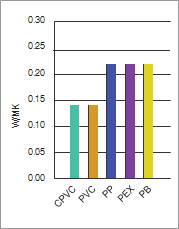 What is the expected performance of a CPVC water distribution system ? What is the thermal expansion rate for CPVC, and how can I best allow for expansion and contraction when installing ? 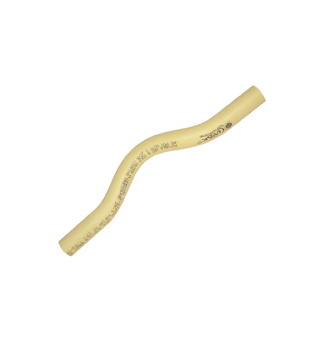 CPVC, like all piping materials, expands and contracts with changes in temperature. The co-efficient of linear expansion for CPVC is 3.2 X 10-5 in./in./° F. A 25° F change in temperature will cause an expansion of 1” for a 100-ft straight length. For most installation and operating conditions, expansion and contraction can be accommodated at changes of direction. 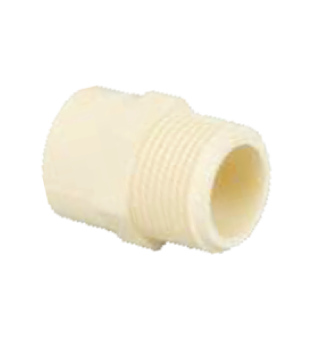 What will be the effect if CPVC pipes and fittings are directly placed under the sun ? 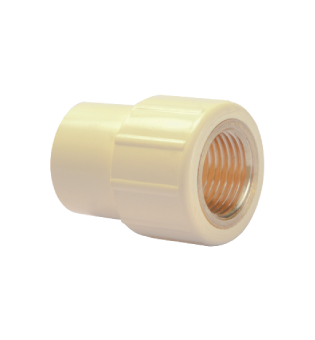 Prolonged exposure of CPVC pipes to the sun prior to installation will result to surface discoloration and slight reduction of its impact strength but are not likely to cause problem during the installation or affect the pressure bearing capability of the pipe once it is in service. 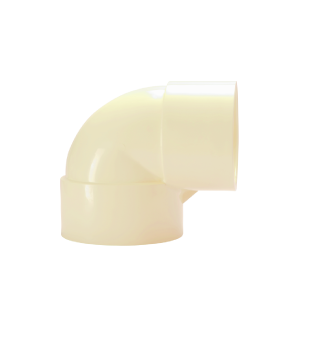 To prevent discoloration of the pipes, they should be shaded from the direct rays of the sun. 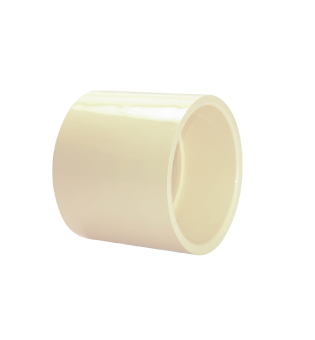 If CPVC pipes are to be buried in the ground, what should be the minimum cover ? 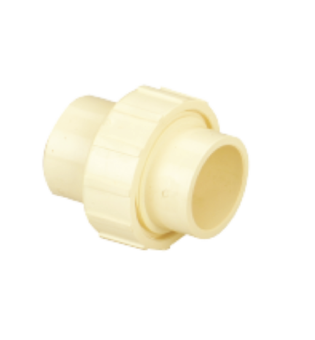 The recommended minimum cover for pipes buried in the ground is one (1.0) meter, however, this is not a hard and fast rule as there are many factors that determine the minimum cover requirement of CPVC pipes. 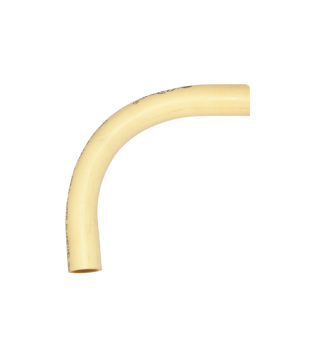 Do CPVC pipes support fire ? CPVC pipes have high limiting oxygen index (LOI). Hence, they do not support combustion and are self-extinguishing, meaning, they immediately stop burning once the source of fire is removed. Are CPVC resistant to strong alkali and acids ? 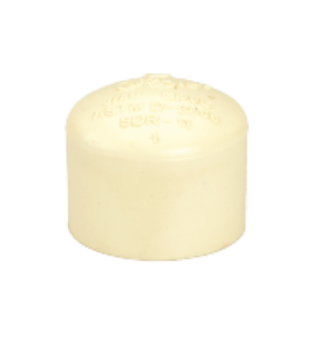 CPVC are resistant to most alkali and acids and are therefore non-corrosive. 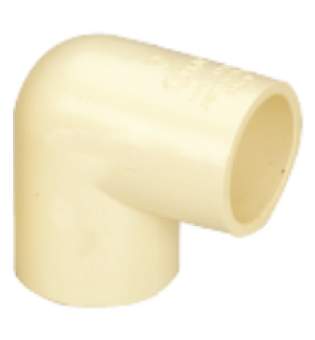 Can a PVC pipe be used with a CPVC fitting and vice-versa ? Yes, but it is not advised. 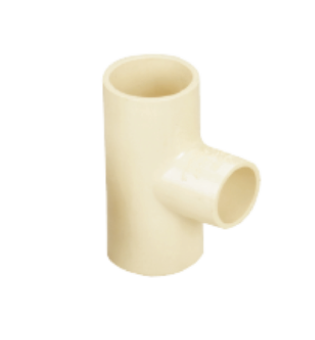 There are solvent cements that can be used for both PVC and CPVC; however, any piping system that will jointly use PVC and CPVC will be limited only to the temperature limit of PVC. 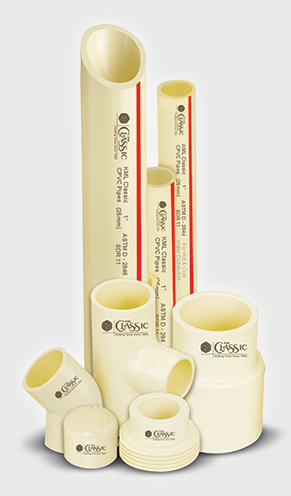 Due to the thermoplastic nature of CPVC pipes and fittings, can they be handled ruggedly without the risk of damage or cracking ? Not true. 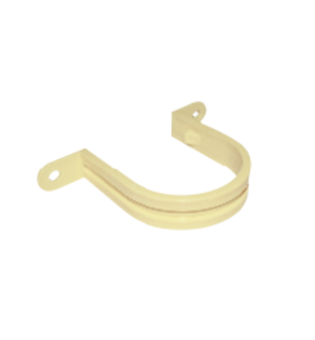 It is a common misconception that because CPVC are plastics and they are light and easy to carry, they can be dropped or abused without being damaged. 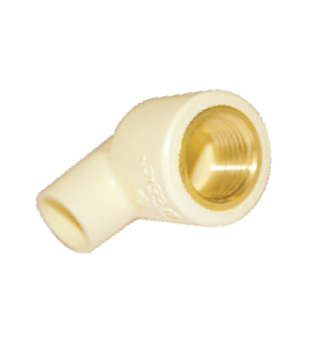 Reasonable care should be exercised when handling and storing pipes and fittings. They should not be dropped, stepped on or hit by hard objects as they can develop hairline cracks that can result to eventual failure during service. 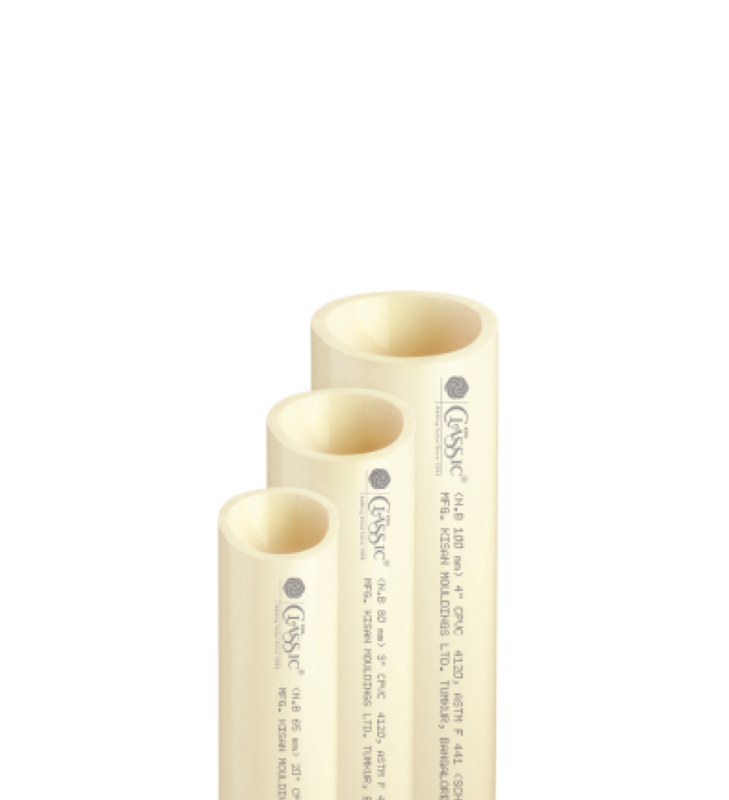 KML Classic CPVC Pipes are available in sizes ranging from 15mm (1/2") to 110mm (4") in diameter & are available in 5 metre & 3 metre lengths. 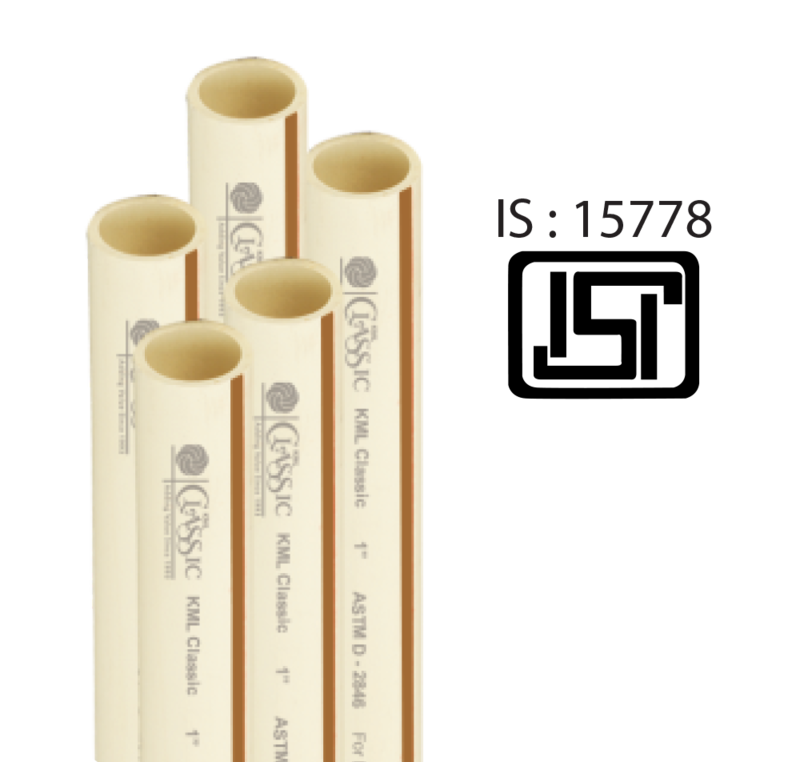 KML Classic CPVC Pipes ranging from sizes 15mm (1/2”) to 50mm (2”) are manufactured as per IS : 15778 Class 1 SDR 11 & Class 2 SDR 13.5 specifications & carry the coveted BIS marking for CPVC Pipes. 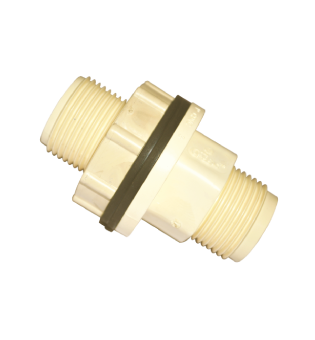 They also conform to ASTM standards such as ASTM D2846 for CPVC Hot & Cold Water Plumbing Systems. 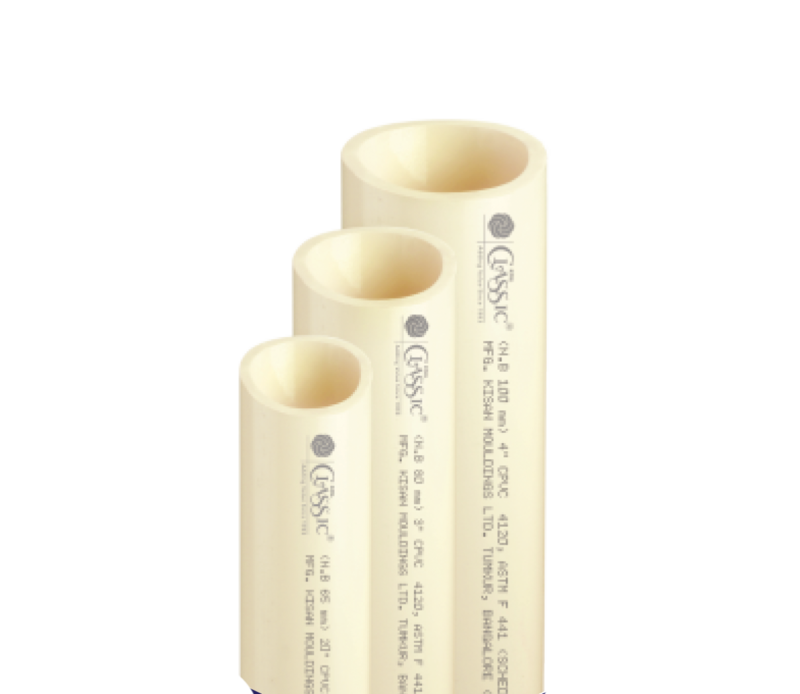 The higher diameter pipes ranging from 65mm (2") to 110mm (4") are manufactured as per ASTM F441 for Higher Diameter in Schedule 40 & 80. 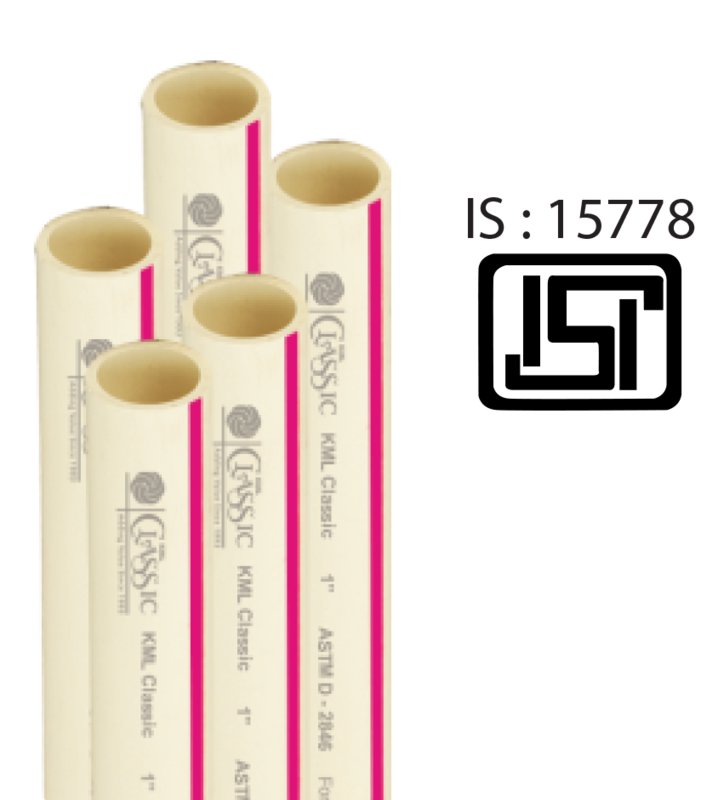 All Pipes are manufactured using the same compound as per ASTM D1784 Class 23447 B for CPVC Compounds. 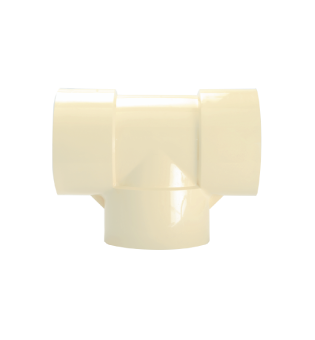 KML Classic CPVC Fittings are available in sizes from 15mm (1/2”) to 110mm (4”) and offer a complete range of fittings. 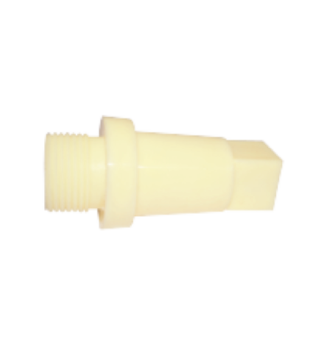 The fittings are manufactured as per ASTM D2846 SDR 11 specifications in sizes ranging from 15mm (1/2”) to 50mm (2”), while the sizes ranging from 65mm (2-1/2”) to 110mm (4”) are manufactured as per ASTM F439 Schedule 80 for CPVC Fittings. 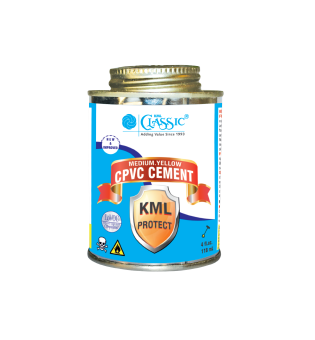 Our CPVC Fittings use the same compound that we use for our pipes as per ASTM D1784 Class 23447 B for CPVC Compounds & complement the pipes in terms of Longevity, Performance and can be easily installed using KML Classic CPVC Solvent Cement, thus ensuring leak-proof joints.